Looking for SUV that looks and drives like a truck but has all the amenities of a luxury SUV? Look no further than the 2018 Ford Expedition Max. This thing is a beast! We got to drive this beauty for a week and took it on a camping trip… the four of us, plus two of my adult brothers. 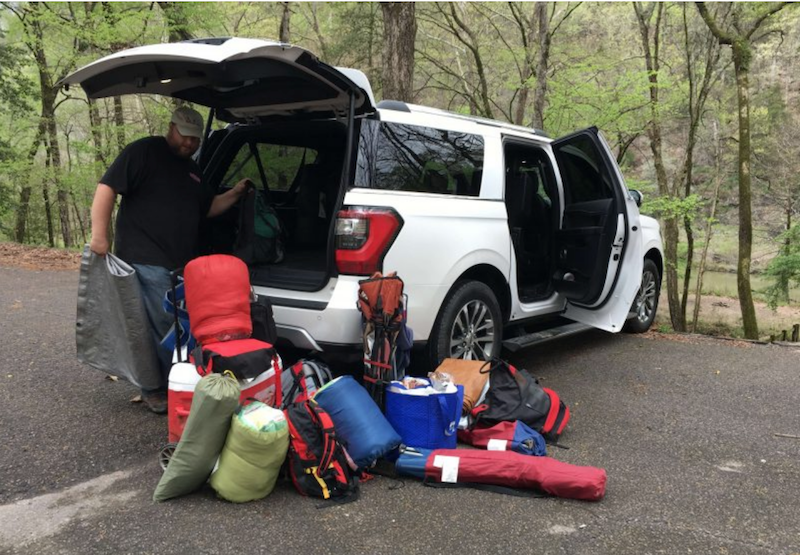 That’s camping gear and food for six. I mean I’d already fallen for the Expedition Max when it was revealed, but getting to spend a week in it really sealed the deal for me. The whole family decided we could see ourselves owning one of these!